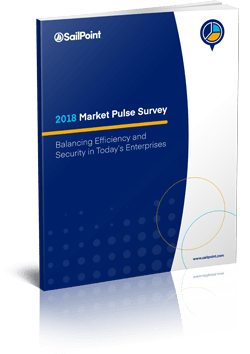 SailPoint’s 10th Annual Market Pulse Survey highlights the struggle between security and efficiency in today’s enterprises. As data breaches continue to make headlines on a daily basis, IT teams are challenged with securing their organizations while providing employees with the resources they need to do their jobs efficiently. This challenge becomes even more difficult when taking the rapid digital transformation organizations are undergoing today. Fill out the form to see the full results.